Helbing Collection A-Z is a continuing feature of our blog. Each week, I will highlight an item or items from our Helbing Collection of Native American Arts and Crafts. Flat twined bags called “Wawxpa” or “Sally bags” are made by twining fine, tightly spun Indian Hemp around a cord base. 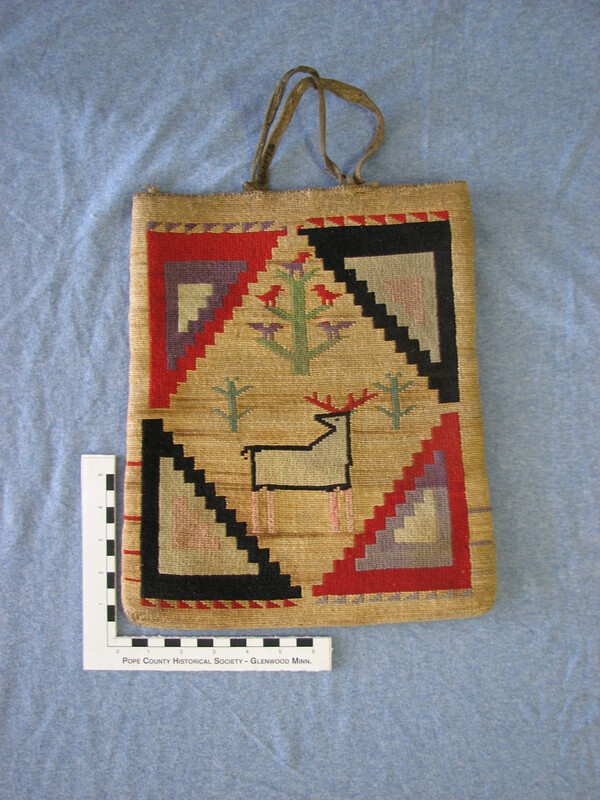 The bag is decorated with a “false embroidery” technique using wool yarn that is added as the bag is woven. 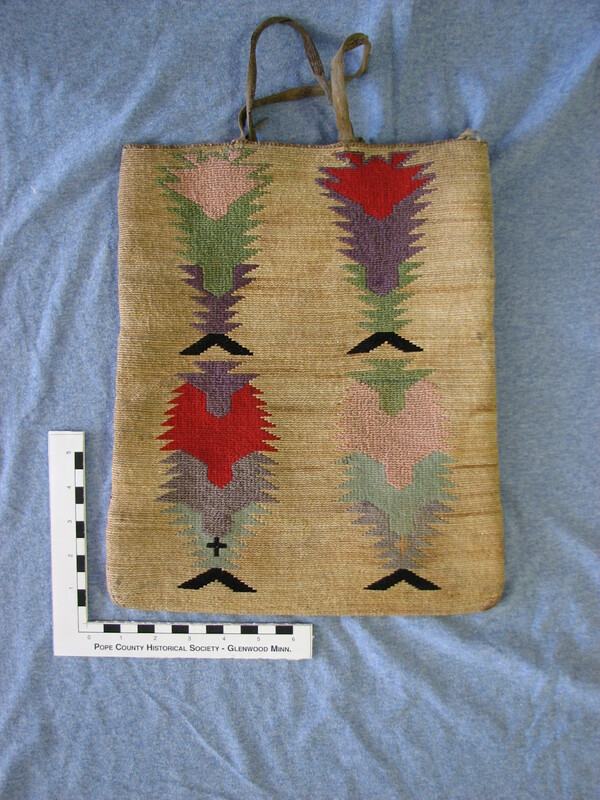 These bags are often called “corn husk bags” because in the past, dyed corn husks were used to in the false embroidery. Similar bags have been found in archeological digs. They were originally used by the nomadic Plateau Indians to hold roots and household goods. They were also an important part of a traditional wedding exchange. They bride’s family gave gifts of food to packaged in these bags to the family of the groom. This entry was posted in Collection Notes and tagged A-Z, Cleora Helbing, cornhusk bag, museum collection, Native American art, plateau indians, sally bag, twined bag, Warm Springs. Bookmark the permalink.